UTC Warrington are extremely excited to welcome Stanley Black & Decker’s, Stanley Engineered Fastening on board as the latest addition to our already impressive list of employer partners. Stanley Black & Decker is the world’s largest tools and storage company, the world’s second-largest commercial electronic security company, and a world leading provider of engineered fastening systems with unique and powerful growth platforms in the oil & gas infrastructure industries. Locally, Stanley Black & Decker’s Stanley Engineered Fastening business has its main operationssite based on Hardwick Grange, Woolston. Globally, Stanley Engineered Fastening has 59 locations is every corner of the world from America to Australia and from Brazil to Japan. For over 40 years, Stanley Engineered Fastening has been revolutionising fastening and assembly technologies for a variety of industries, from automotive assembly and industrial construction to computers, mobile telecommunications and appliance manufacturing. Having had a great deal of experience supporting other local schools with future engineers, Stanley Engineered Fastening reached out to UTC Warrington, as they were excited by the innovative curriculum, the specialist equipment and the opportunities available to young people through the UTC model. Their experience to date means that the team from Stanley Engineered Fastening will be able to offer students unique, hands-on opportunities within their business which they are confident will develop into apprenticeship and higher apprenticeship positions in the future. Russell, alongside other key members of staff at Stanley Engineered Fastening will work with UTC students both on work experience placements at their site in Woolston and at the college by running workshops and master classes to help students relate their studies to a real world environment. Steph Hutchinson, Marketing & Employer Engagement Manager at UTC Warrington said “Stanley Engineered Fastening are an excellent addition to the college’s broad array of employer partners. 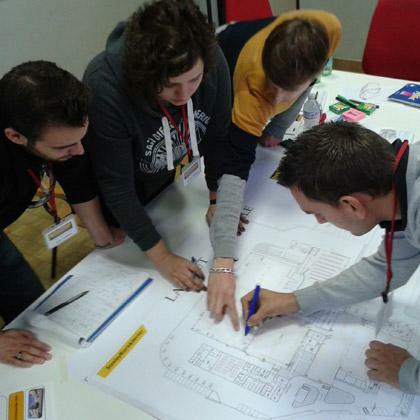 Their previous experience of working with young people will allow them to hit the ground running and the knowledge they bring with them will be invaluable”. Stanley Engineered Fastenings join an already impressive list of over 50 employer partner businesses, including: Sellafield Ltd, Amec Foster Wheeler, Fujitsu, Unilever, Nuvia, Rolls Royce and Vinci, who are working with the college to ensure our students are work ready for the opportunities available. 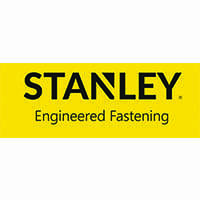 If you would like to find out more about Stanley Engineered Fastening, why not visit: www.stanleyengineeredfastening.com.